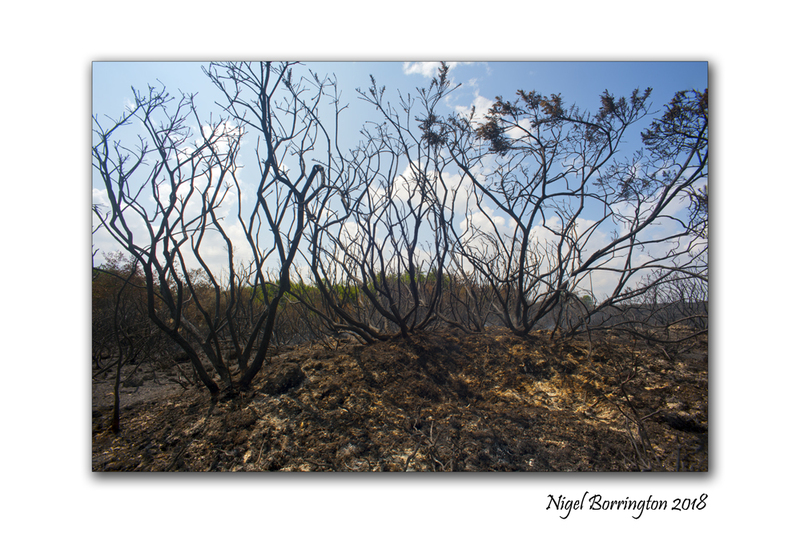 The six week long heatwave that we are experiencing here in Ireland during June and July has brought with it some of the best summer weather many can remember, yet it has also at this stage created water shortages and with the ground being so dry we have also had many forest wild fires along with fires on the open bog lands. I enjoyed capturing these pictures a lot! 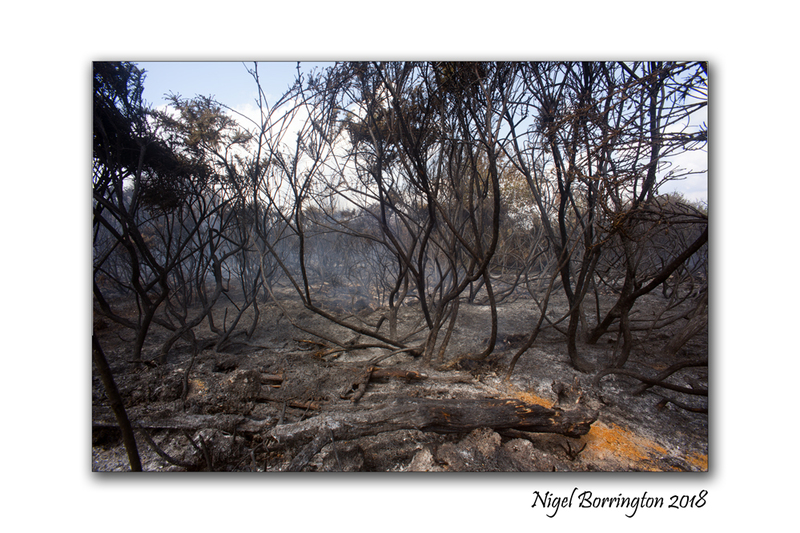 as the atmosphere on the bog was amazing, the smell of smoke and the cracking of still burning small fires, with dead wood smoking all around me, nothing but deep ash on the surface. 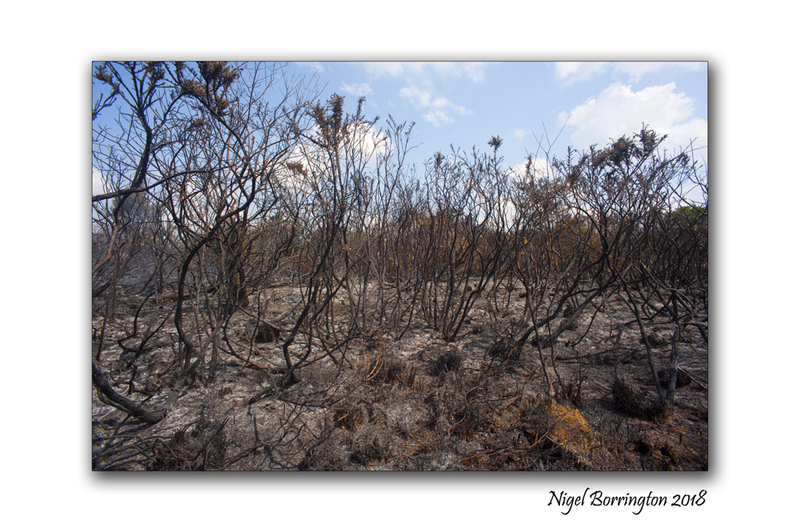 I took these pictures this morning, they show the results of a large wild fire on the bog lands at littleton, county tipperary. 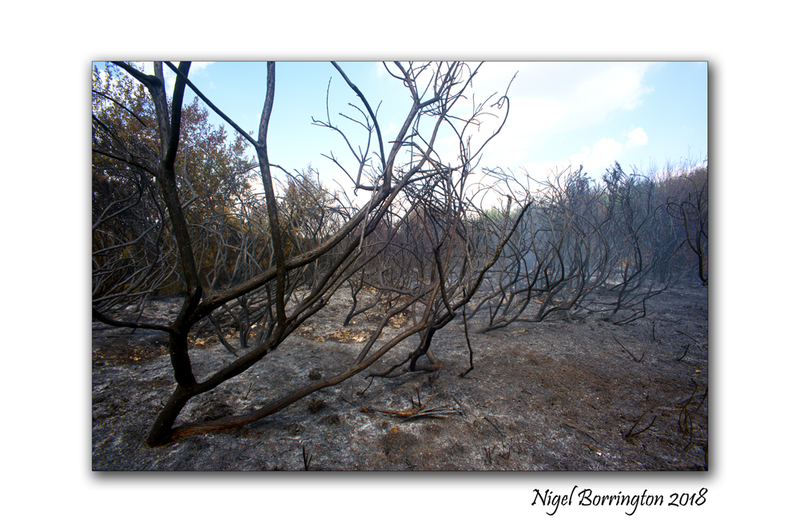 Most of the trees and heather have all been burnt, these fires are mostly just on the surface and when we see the return of some rain the environment will recover very quickly. The question is just when will we see our usual Irish summer return , with its rains at least once or twice a week ?